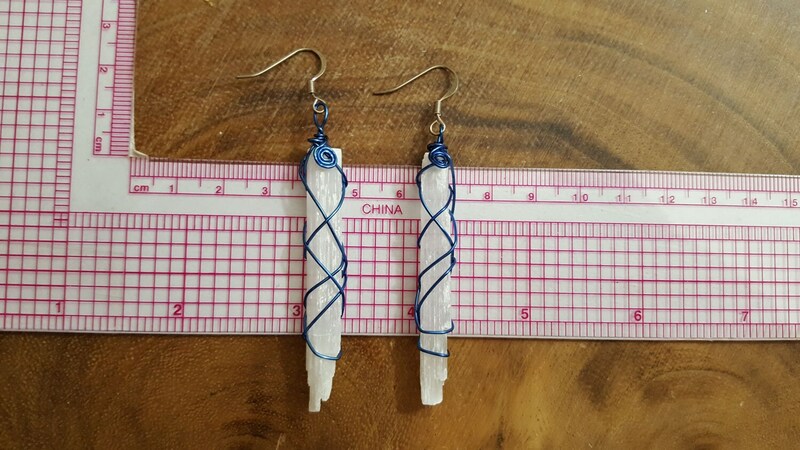 These handmade wire wrap selenite earrings are created with rough selenite pieces, matched as best as I can, then wrapped with colored copper wire, and finished with hypoallergenic ear wires. 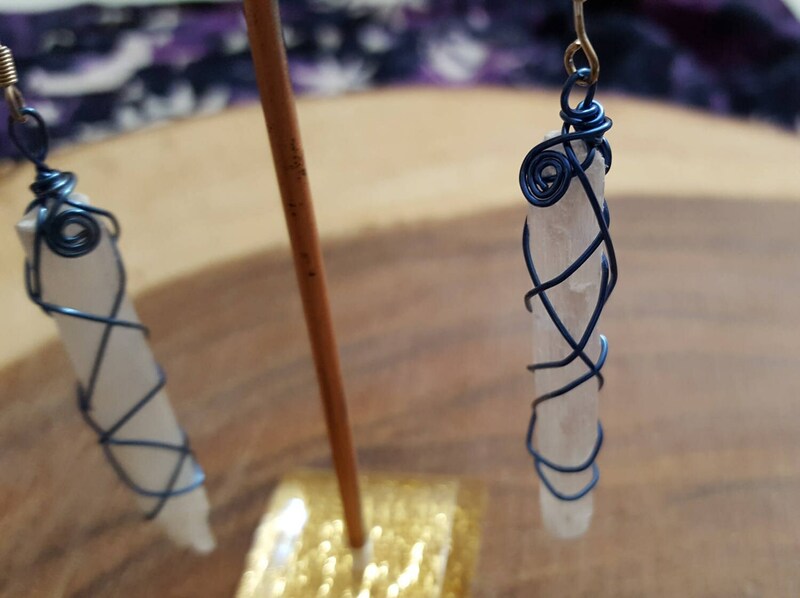 I create these during a meditative state, while channeling through high vibrational energies. (Reiki, Divine Light) After they are ordered, I pass them a few times through sage smoke for a final cleanse, then finish the Reiki infusion. 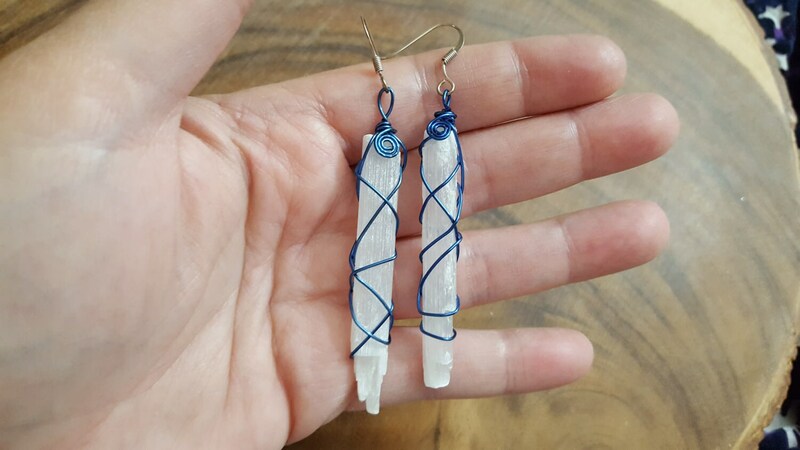 They are then packaged in a jewelry box with an information card and a leaf or two of white sage to keep any lower energies from attaching on it's journey to you. 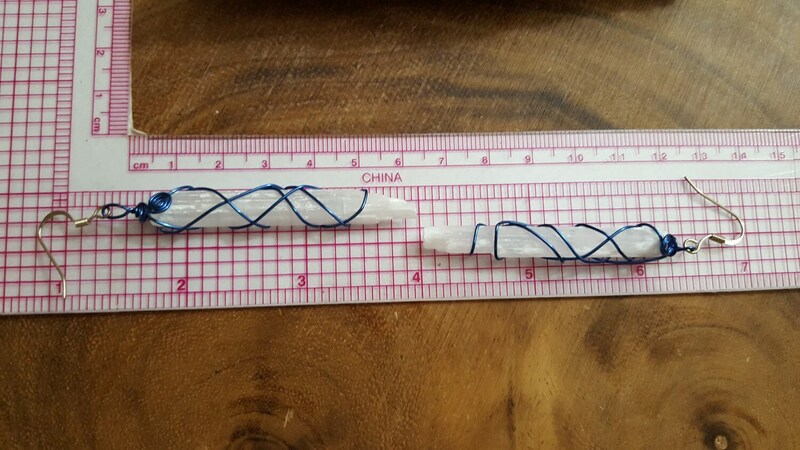 The last 2 photos show the measurements. 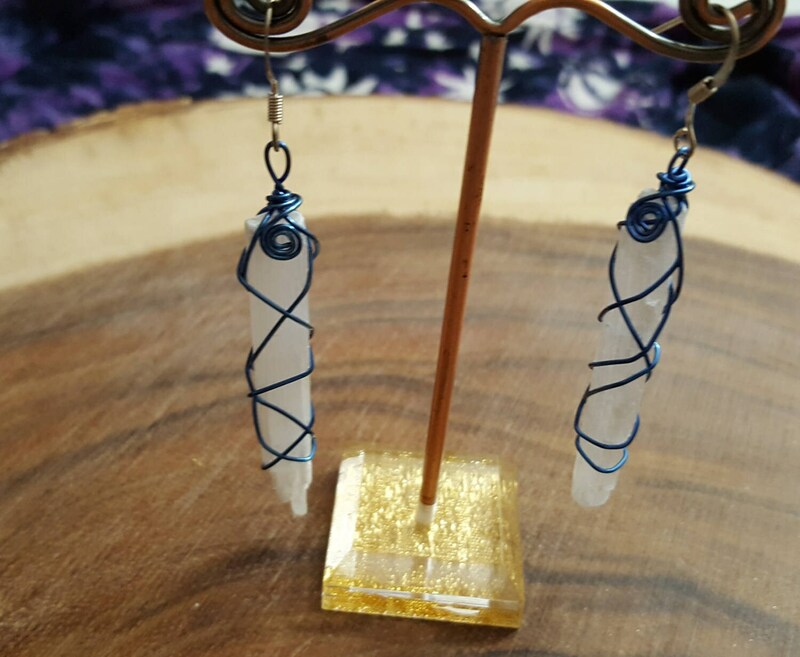 The pictures shown are of the earrings you will receive! * Note ~ these are natural and there may be slight variations in size, shape and color. I did my best to match the sets, however they are not exact matches since these are natural stones.